I would like to express my deep felt gratitude to Dr. Bhashyam Swamy, Director for his dedicated efforts in bringing out this publication. I also extend my thankful regards to those involved directly or indirectly in this noble endeavour of introducing a qualitative work to the reader. 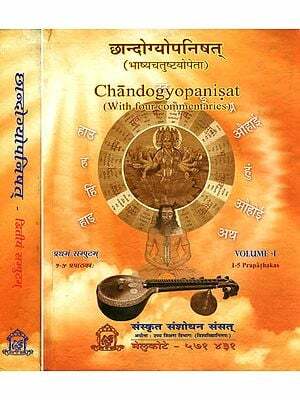 Upanisads, Brahmasutras and Gita Or more precisely called Bhagavadgita that forms a tripod upon which the whole of Hindu theology has been well and truly set forth. The passage of time that not only has had produced many a great stalwarts along the line, it also made them to compose remarkable works by way of commentaries, glosses to otherwise source texts that are esoterically enshrined. This has been a consistant phenomena through out, consequently we have an enormous corpus of Shastraic literature that keeps growing eternally. This has made the concerned pupilage living in times of publication of the work of the nature under discussion, to have a better grasp of the subject-matter. 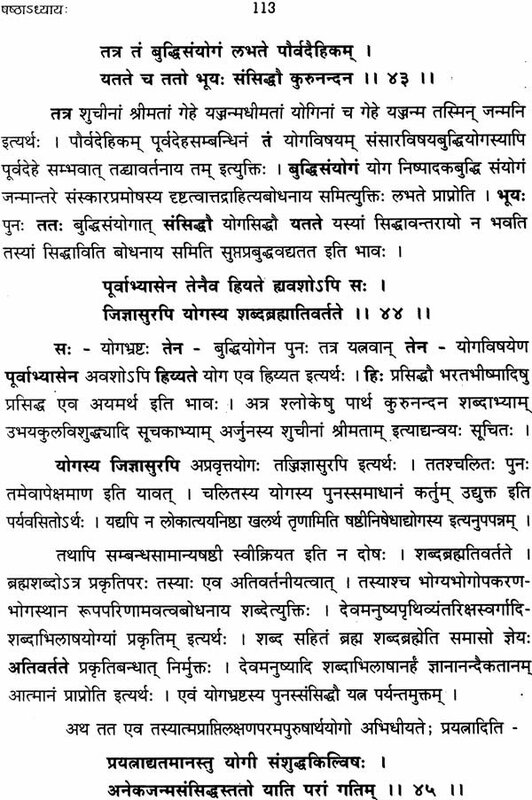 The Academy is glad to present its reader with one such work titled "Gitabhasyarahasyartha sangraha" as the name itself suggests that this is a subsidiary gloss not directly to Gita but to the commentary of Ramanuja on Gita, popularly known as "Gitabhasyam." 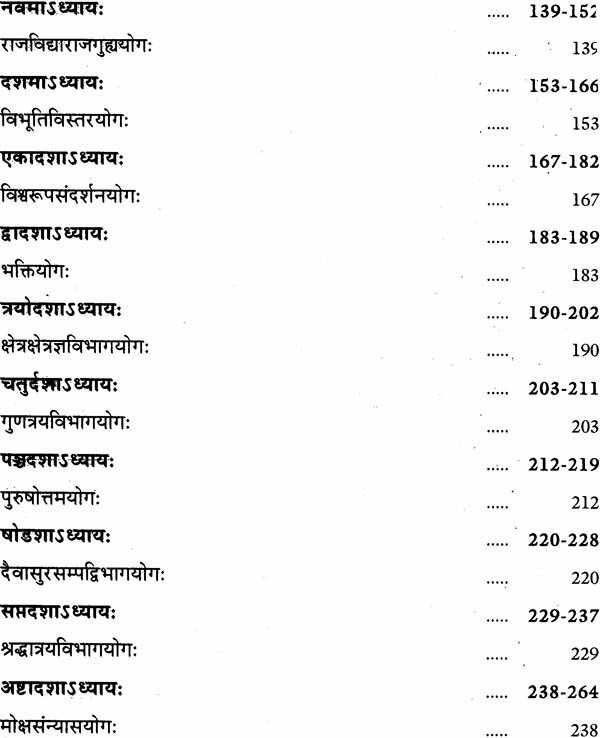 Though the name of the author of this work named to be "Ennacchan pillai" not much of him is disclosed in the script. 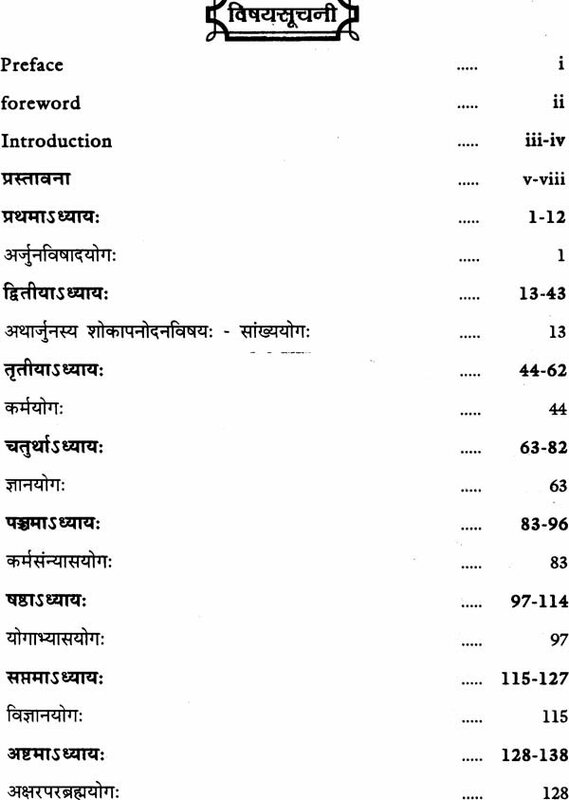 At any rate, this work certainly would add more value to the list of Srivaisnava commentaries to Gita that are already available with us. I convey my heartily congratulations to Vid. S.Narayana and Vid. H.S. Hanumantha Rao, Vidushi. M.V. 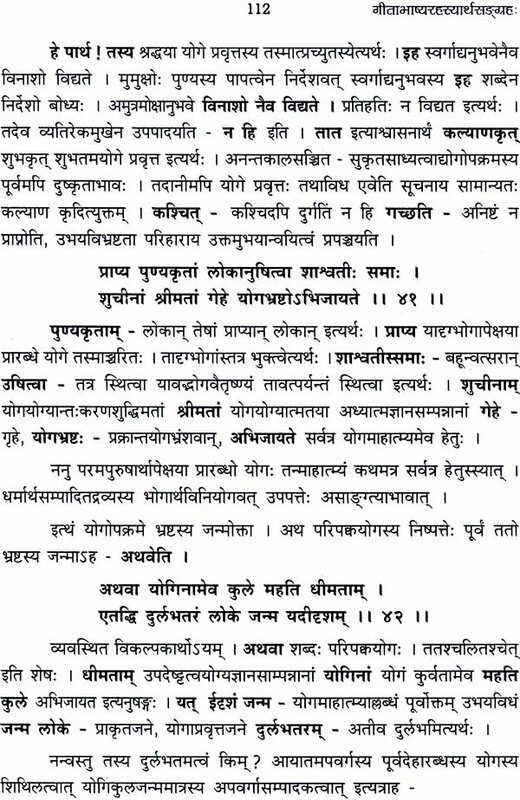 Savithri, and all other scholars who have helped in shaping this book to nicety. I also convey my thankful regards to Sri S. Kumar, Registrar, for having provided congenial working staff to complete the project on time. Bhagavad-Gita has occupied the most pivotal place in the Vedanta Sastra. The Sanskrit scholars whose contribution in the form of commentaries and opinions has enriched the place of Glta in the World Literature. 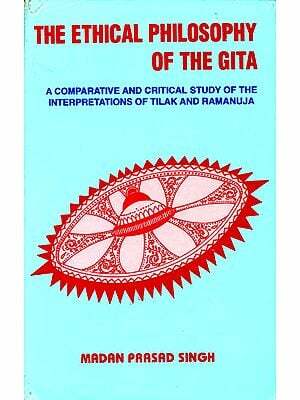 In a similar way, Sri Ramanujacarya, the propagator of Srivaisnavism and Visistadvaita philosophy has written his outstanding commentary on Gita. The simplicity of its language and elegant style has contributed much for its worldwide reputation. His successors Surapuram Ennachchan has written a book titled Glta Bhasyarahasyartha Sangraha, which brings the basic tenets of Gita to the reach of the common man. Before writing this book, Sri Ennachchan has sought apologies from the readers stating that there is nothing to write on Gita bhasya, since it has already been produced by a great genius Sri Ramanujacarya. 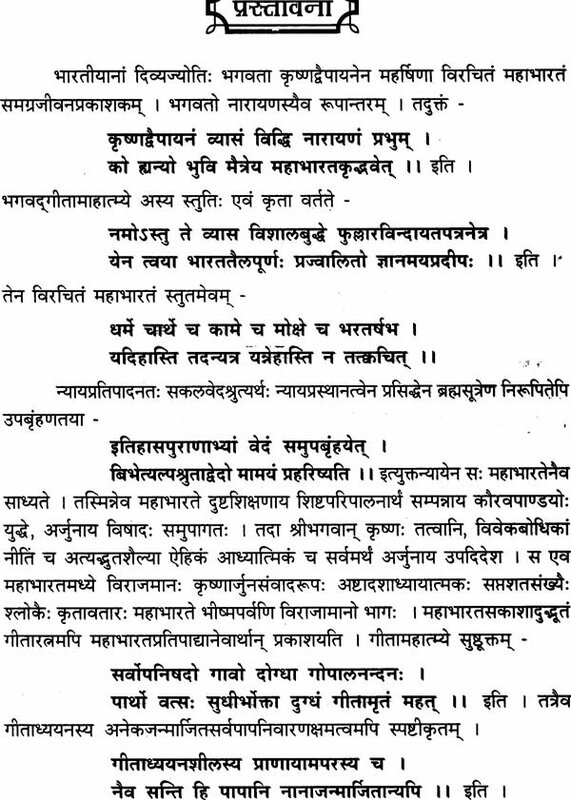 The brilliance of Gitabhasya has not been mentioned anywhere in Gita Bhasyarahasyartha Sangraha and it is imperative on the part of the readers to go into the original text to know its erudition. The language and literary characteristics are made deliberately simple in order to make it more comprehensive. The concept of Bhakti based in Gita is highly emphasised in the Visistadvaita philosophy. In the course of highlighting Bhakti as a means of salvation the writer has not objected or criticised other sects. 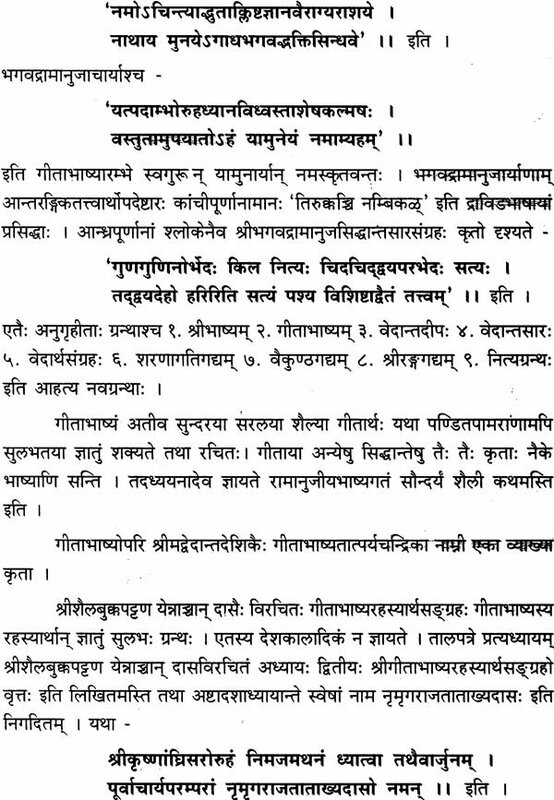 Readers who can understand the commentary of Ennachchan on Gitabhasya, can easily understand the original text. 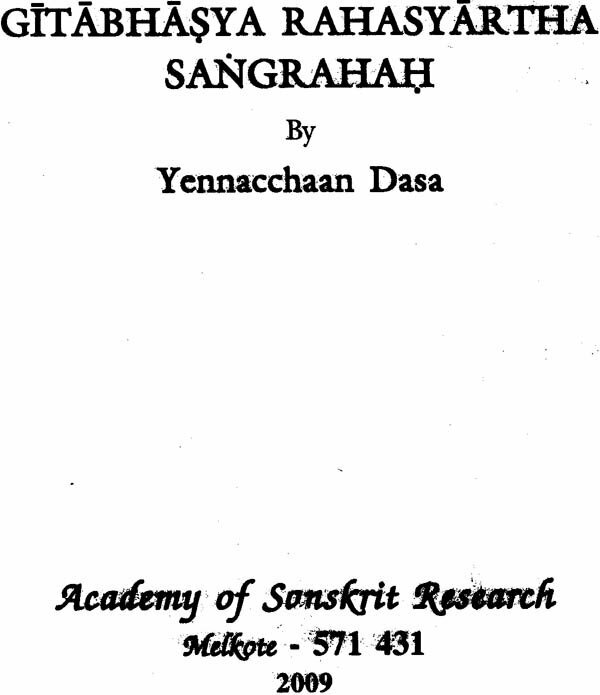 This book would serve as a beautiful scholarly introduction to Gitabhasya and Visistadvaita. 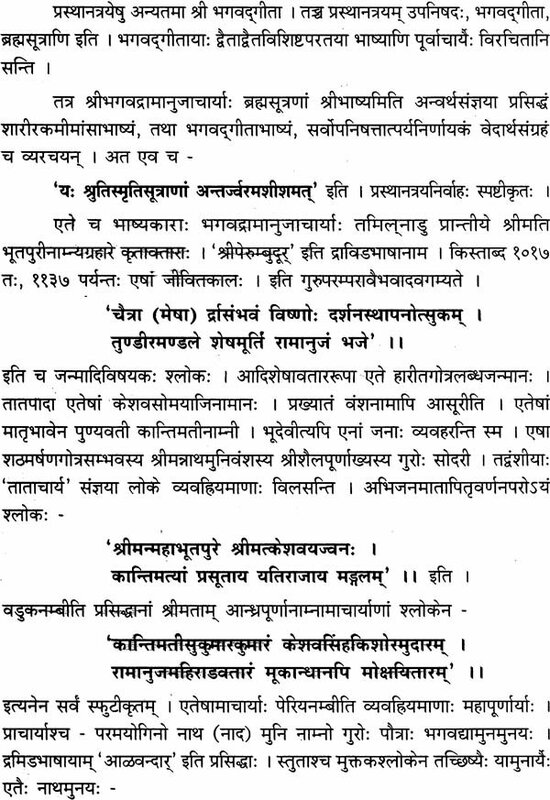 This work which has nice gloss on Gitabhasya should facilitate its reader of happy reading. The Academy takes pleasure in publishing this meritorious work from its Manuscript library collection. This indeed would add more glitter to the already shining list of Srivaisnava commentary tradition. It is deemed that this publication would benefit the scholars as well as research students who are inclined to make further research on the subject. Academy is also proud to possess ancient wisdom recorded on palm-leaf manuscripts that are duly preserved and digitized, for the benefit of posterior generation. Hence our priority should be - to protect the treasure of rich knowledge documented on these ancient manuscripts by all means. The Academy welcomes those who are in possession of such ancient priceless treasure to come forward to make way for the preservation and digitization mission. I am profusely thankful to the Director Dr. Bhashyam Swamy for entrusting the task of editing this work. I am also thankful to my colleague Vidwan S. Narayana, Research officer, S. Kumara Registrar and others for their co-operation and suggestions while editing this work.